So that was the day I got Sachin Tendulkar – the greatest run scorer who ever lived – out for 21. But that wasn’t the only reason I remembered that day. 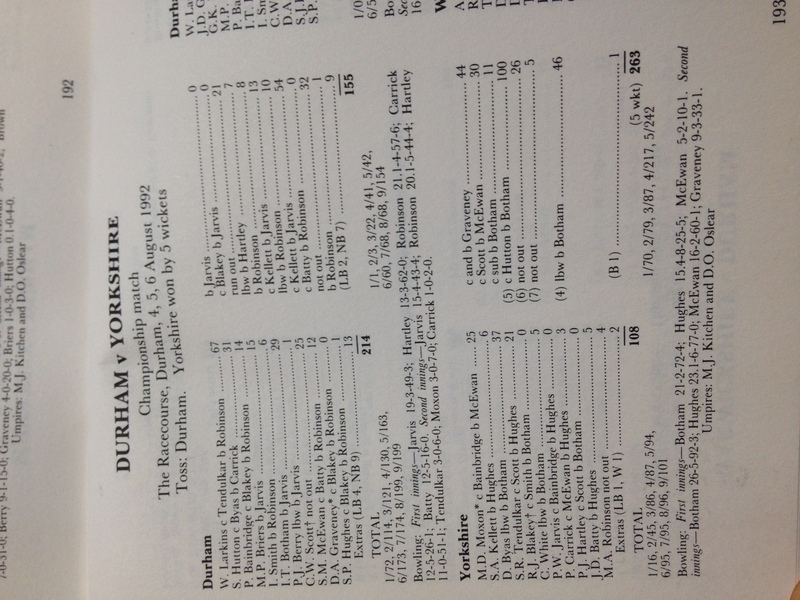 It was also because it precipitated a flood of Yorkshire wickets shared by the great Beefy and the modest me. Yorkshire collapsed from 86-2 to 101-9. 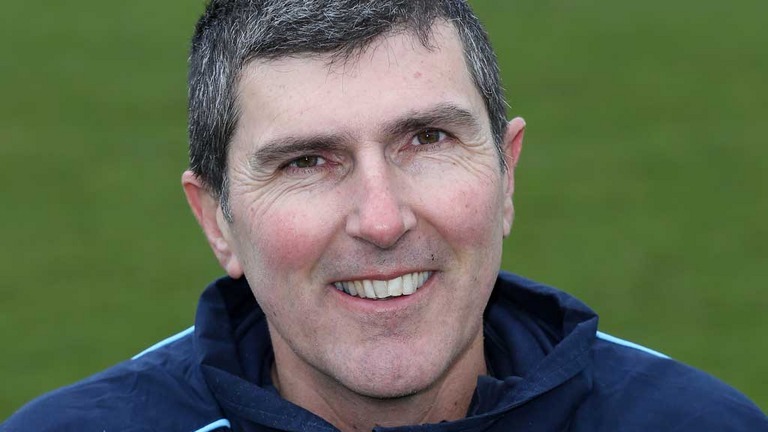 And as the last man was the (new England women’s coach) Mark Robinson we knew it would soon be 101 all out. He had recently set a record of 12 consecutive ducks and averaged a little over 2 with the bat. But where was Robbo at the fall of the 9th wicket? He wasn’t coming out of the pavilion. Then we saw a car swiftly descending the sloping approach to Durham’s Racecourse pavilion. It was Robbo. With Yorkshire cruising at 86-2 he had popped to the shops for a few essentials and had to be urgently summoned back when the wickets fell. Technically he should have been timed out – there was no way he was going to get padded up and out there in the stipulated two minutes. Would we wait for him? Of course we would! He was a walking wicket and no self-respecting bowler was going to pass up the chance of knocking him over. So we waited. But he had the last laugh. We couldn’t get him out – he reeled off a season’s best 4 not out – then he grabbed the ball and routed us for 155 (taking 10 in the match) leaving Yorkshire 265 to win. Of course they got them, the Little Master proving that lightening doesn’t strike twice. Good luck Robbo in your new job. And don’t go shopping during a match.